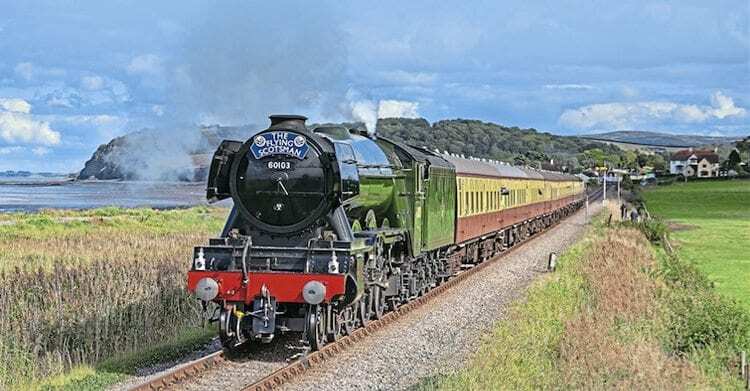 THE West Somerset Railway (WSR) is set to enjoy a lasting reminder of September’s visit by Flying Scotsman in the form of a £250,000 infrastructure investment. The National Railway Museum’s Gresley ‘A3’ appeared for a seven-day stint from September 5, working two eight-coach trains a day between Bishops Lydeard and Minehead, along with a number of evening ‘Fish & Chip Specials’. Some 10,700 passengers travelled over the WSR during the week-long visit, albeit not all of them behind No. 60103. Nevertheless, it was by far the railway’s most successful event to date, netting the equivalent of a fifth of the line’s annual ticket income in just one week. However, before the ‘A3’ could work along the full-length of the GWR branch the WSR had to carry out a programme of rail replacement, which would otherwise have prevented the Pacific working through to Minehead.